We’re very excited to announce that the New Music Biennial has signed up to the Keychange pledge to aim for a gender balanced festival line up by 2022. The New Music Biennial joins 39 other festivals that join the pledge today which include, Annie Mac Presents Lost & Found Festival in Malta, EFG London Jazz Festival, MUSEXPO in the USA and the Cambridge Folk Festival. You can read the full list on the Keychange website here. Keychange is a pioneering international initiative supported by the Creative Europe programme of the European Union which empowers women to transform the future of the music industry and encourages festivals to achieve or maintain a 50:50 gender balance by 2022. By bringing together like-minded festivals and conference programmers committed to positive action, Keychange aims to create a much needed long-term change in live music and beyond. 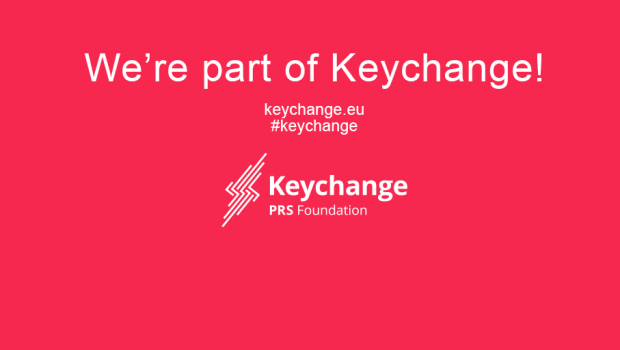 Keychange is led by PRS Foundation, supported by the Creative Europe programme of the European Union, in partnership with Musikcentrum Sweden, Reeperbahn Festival, Iceland Airwaves, BIME, Tallinn Music Week, Way Out West, Liverpool Sound City and MUTEK. It will include, later this year, an event in Brussels at the European Parliament, at which Keychange partners will present a manifesto based on contributions from Keychange participants, partners and associate festivals.